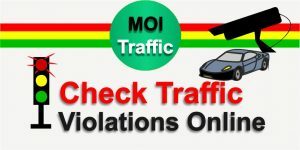 Traffic rules are managed to confirm safety on the roads. These rules must be implemented in any case on every road user. It is really important to follow the RTA traffic rules in Dubai. If you are planning to drive a car in Dubai or to rent a car from https://rentalcarsuae.com then there are some necessary Dubai RTA fines presented by Rental Cars UAE to save you from inconvenience you must be aware of. Here’s the list of 7 Dubai RTA fines you must have know-how about. Be assured, you never exceed the speed limit. It not only charges money but also can risk your life. The usual limit is 30-40 km/h on small roads and around 60 km/h on main roads or highways. The traffic fine on crossing the speed limit is AED 400-1000(it varies due to the charge type and depends on the road type). This also incurs 12 black points to the driver’s license and the auto will be kept by Shurta (police) for 30 days. Driving under the effect of alcohol, drugs or any other substance that annoys your brain activity is extremely horrible. Any person get caught in this condition will be highly penalized. The fine amount will be confirmed by the court. In the license, 24 points are to be added additionally and the vehicle will be held by police for 60 days. A driver must move with a valid driving license, car insurance, legal papers of the car, etc. Driving a vehicle with a finished license will charge you with AED 200 and 3 black points as well. For not keeping the license while driving, AED 100 will be charged. Driving without valid/expired insurance or registration papers can cause a charge on you for AED 500 and the car will be halted for 7 days. AED 200 will be charged for blocking the transport of other autos. Stopping up a car in a way that can be hazardous to other road users is aggressive. Even blocking the path of pedestrians can fine you AED 400 because pedestrians have been given this much importance that walkers have first right to cross by. Never color your car windows above the limit that is written in RTA laws. The allowable percentage of windows tint for the automobile is maximum 30%. If you are exceeding this maximum limit AED 1500 is charged in addition to do so. The windows of the vehicle should be minimum 70% transparent in any case either get ready to pay a penalty of AED 1500. Parking the vehicle that is enclosed for certain people/services can charge you with AED 1000 and 6 black points on the license as well. Fine on imbalanced and disordered parking is AED 500. For parking your vehicle on footpaths AED 400 is charged if you know or don’t know the rules so, better is to learn the rules before you check Dubai in. Be assured, you never drive to touch the forbidden roads. It can get you in actual stress. The fine for entering prohibited areas is AED 1000 and 4 black points are increased to the license. There is a separate management of Dubai RTA fines for bikers and cyclists. AED 500 is the finest amount for not going out with a helmet in addition to 4 black points. Visit Dubai Traffic RTA for more details to keep in your mind on the fines and charges. Following the traffic rules will assist you in the prevention of an accident. All the traffic fines and penalty by Dubai traffic police are for public security and to make driving smooth, comfy and peaceful.